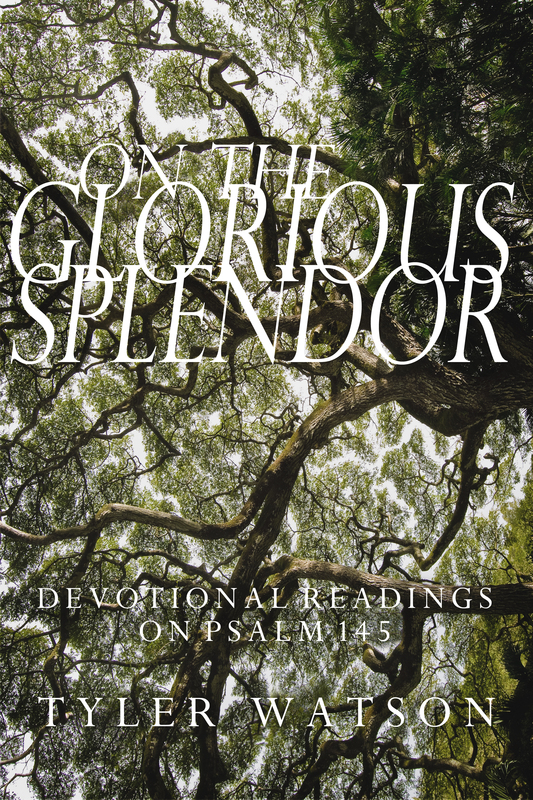 The following is the first essay from my new devotional, On the Glorious Splendor: Devotional Readings on Psalm 145, available both in the Kindle format and paperback at Amazon.com. Praise is the beginning and end of our prayer life, framing all of our speech directed toward God. When we first meet the powerful creator God of the universe, we naturally respond with awe and worship. We realize we are not God, nature is not divine, and our nations, economies, militaries, material goods, and families are not supernatural. In praise we meet Yahweh, the God of Israel, who is in control, loyally loving all of creation, establishing justice and peace. Coming before Yahweh and exclaiming praise is the intended state for humanity. Therefore in the Book of Psalms we find numerous examples of and calls to worship Yahweh. A right relationship with this God requires exuberant, abundant praise. This short guide will help you prayerfully read through Psalm 145, a prayer-poem that enthusiastically expresses “glad astonishment” at God’s greatness and goodness. The psalmist marvels at the great power of God seen through works of creation, sustenance, and salvation. The psalmist also proclaims Yahweh’s goodness is evident through God’s graciousness, mercy, patience, and deep commitment to people. Psalm 145 is a model of praise. The psalmist focuses all the attention on Yahweh, not on himself, or even on what God has done for the psalmist. Though the psalmist mentions God’s works, he does so only in the most general terms. The emphasis lies on what those works reveal about Yahweh’s character. The psalmist shows praise is incomplete until we declare God’s greatness and goodness to others. The people of Israel and the Church have used the Book of Psalms as their prayer guide and hymnal throughout history. The Psalms have much to teach us about prayer and praise if we simply slow down and allow their poetry to usher us into a world that deals directly with the joys and sorrows of life as well as the God who is immediately available. Praise, however, is not just an appropriate response to encountering Yahweh’s greatness. It also sets norms and expectations for our relationship with God. The praise psalms describe the world as it should be. In them we see God is gracious and patient and we humans are to respond with worship and obedience. The content of our praise allows us to move to the other forms of prayer found in the Psalms. The claims we make in worship become the basis of our lamentation when we encounter injustice and suffering. God should be in control, life should be characterized by peace and justice. The psalms of lament (e.g., Psalm 88) acknowledge we have moved away from the ordered peace of the praise psalms and they call out to God to again assert control and deliver us. The writers of the lament psalms often hope and promise to return to praise once God rescues them from the calamity. The psalms of thanksgiving (e.g., Psalm 34) are that return to praise, recalling both the trouble the writer experienced, as well as the salvation Yahweh brought about. In their own way, lament and thanksgiving assert a life dedicated to worshiping Yahweh is the best life possible. As you read and pray, bring your whole life forward. If you are in a season of peace and justice, gladly follow Psalm 145’s worshipful design. Let the psalm usher you into a reality in which God is active and gracious, showing deep loyalty to all of creation. If you face trouble and question where God is, it may be more appropriate to spend time with a psalm of lament, or perhaps you can let the words of Psalm 145 shape your prayers by saying, “God, aren’t you supposed to be great and good, like the descriptions I read in this psalm?” The author of Psalm 145 calls us to meditate on God’s powerful works and what these acts reveal about Yahweh’s abundant goodness. Receive the invitation to drink deeply from these words. Do not rush. Allow the wonder of Yahweh to overwhelm you. Walter Brueggemann, “The Psalms as Prayer,” in The Psalms and the Life of Faith, ed. Patrick D. Miller (Minneapolis: Fortress Press, 1995), 60. Claus Westermann, Praise and Lament in the Psalms, translated by Keith R. Crim and Richard N. Soulen (Atlanta: John Knox Press, 1981), 27.